On a journey such as this, there will be good days and bad days. Today was a good day. I walked 14 miles in five hours. 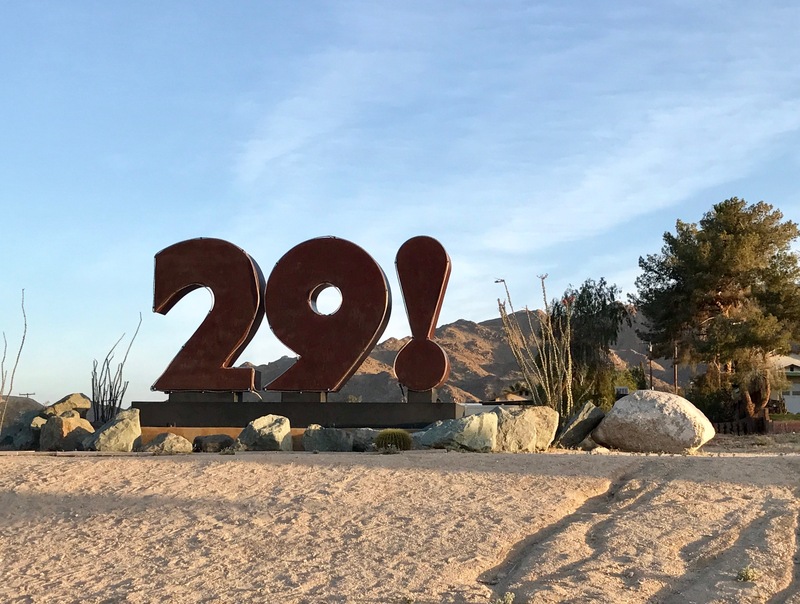 I was out the door of the High Desert Inn in Joshua Tree at 6 am, and was checking into Motel 6 in Twentynine Palms at 11 am. I had adequate space on the shoulder of Route 62 virtually the whole way, and there were no extreme hills to climb or descend. My left knee did not complain, and for that I am grateful. At 9:30 AM I spotted a bench under a shady porch of the New Testament Baptist Church and took the opportunity to rest my feet—as well as the rest of me. No “Testament” folks of any type, New or Old, disturbed me. When I arrived at the motel, a lovely young woman, Dayle, found me a great room in the back and checked me in even though it was quite early. I ate lunch at the Del Taco next door and then took a well-served nap. I’m working on my route to Kingman (several choices). There’s a Dollar General store nearby where I’ll buy water and food for the next big leg of the journey, which begins early Sunday morning. For dinner, I took a little walk to Subway (2 miles RT) to pick up a foot-long tuna sub. Tomorrow is a day of rest for me. Hope it is for you, too!